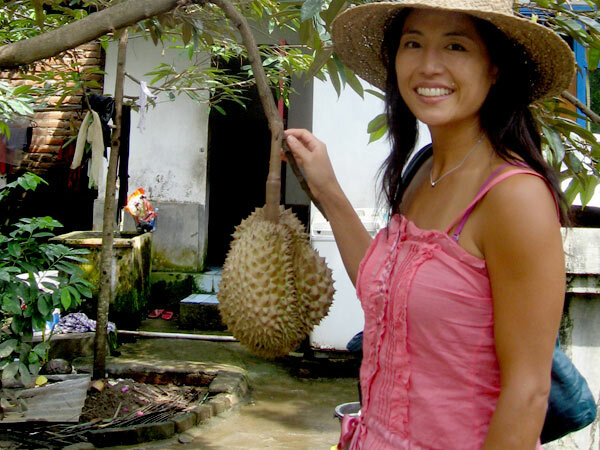 My love for this strange, spiked, aromatic fruit took me on a journey across the globe to Bali, Indonesia, where durian season is only during the months of January and February, and sometimes early March. This fruit is a fatty fruit, like avocado, is rich and smooth in texture, similar to a custard, and is rich in sulfur, which gives it a scent some people find offensive. I think it smells sweet and delicious. 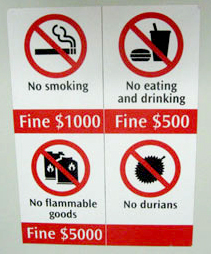 But, don't even think about bringing it on a subway in Singapore, or you'll be fined. There are many varieties of durian fruit in Bali. The most common variety is smaller, only about 3 to 5 pounds. It's rounder in shape, and has large seeds. The flesh is light yellow, almost white, in color. I found durian of the Montong variety at a durian farm on the north shore near Lovina. I hear Montong originates in Java and is popular in Thailand. It's much larger in size, anywhere from 12 to 15 pounds, contains smaller seeds with more flesh that's deeper yellow in color. 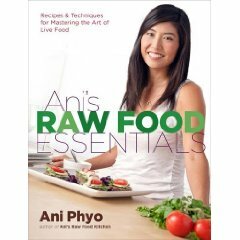 My next book, Ani's Raw Food Essentials, will be available everywhere April 1, 2010.